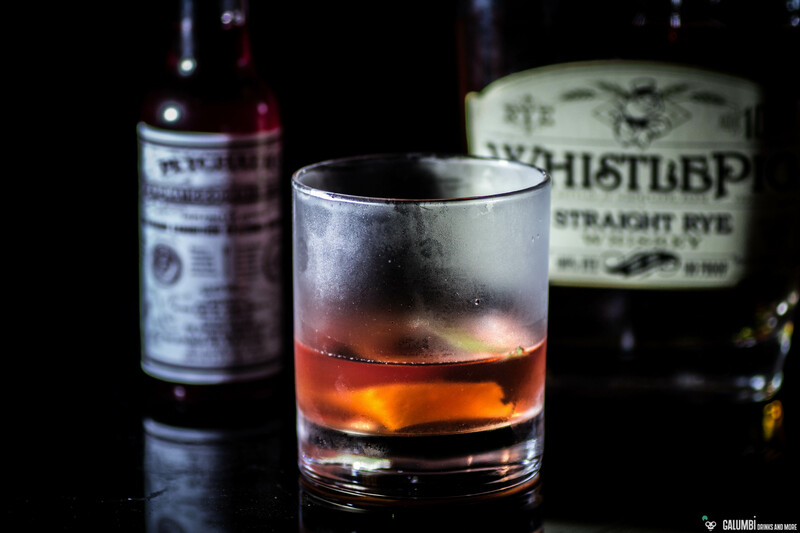 The Sazerac is a classic New Orleans cocktail of the 19th century which goes back to the pharmacist Antoine Peychaud, the inventor of the eponymous Bitters. Meanwhile, the Sazerac is considered the “official cocktail of the City of New Orleans”. Originally I got to know the drink by the Cocktail videos of Chris McMillian (which I really recommend! The quality sadly is a little bit outdated, but that does not detract from the content). Chris has been the bartender in the Library Lounge at the Ritz Carlton in New Orleans and now travels the US as a “Cocktail Historian”. For me, he is actually something like the epitome of the classic bartender; at his bar, I could sit all day and listen to him while watching him preparing drinks. In former times, the bartenders in New Orleans threw the absinthe-wetted Glass into the air once a guest ordered a Sazerac and yelled “A Sazerac! !” through the bar. If you like, you can also do this while mixing your Sazerac at home. Since the Sazerac is a fairly “simple” cocktail in which it is crucial to use a good quality spirit, you should take a good Rye here. For the drink on the photo I’ve even chosen the WhistlePig Straight Rye, which is actually not cheap at all. But in case of doubt, it should also go well with a slightly more cost friendly one. Fill a tumbler with ice cubes and water and set aside. Add the sugar cube into the other glass and soak it with the Peychaud Bitters. Then add the water and thoroughly muddle until the sugar has dissolved in the water and you’re getting a reddish supension. Now fill the glass with the suspension with ice cubes and add the Rye Whiskey. Now empty the second glass (which should be chilled by now) and pour in the absinthe. Now twist and turn the glass in your hands, so that the absinthe can wet the inner wall of the glass. If you want to, hurl the glass into the air as described above. Pour away obsolete absinthe. At last, strain the drink from the one glass into the absinth-wetted glass and garnish with a lemon zest. Gently spray some lemon oil on top of the drink by wrinkling the zest a little.